A burgeoning cultural node in Ohio City on Cleveland’s near West Side could soon get a serious boost if the nonprofit art gallery Spaces can raise enough cash to move into the neighborhood. 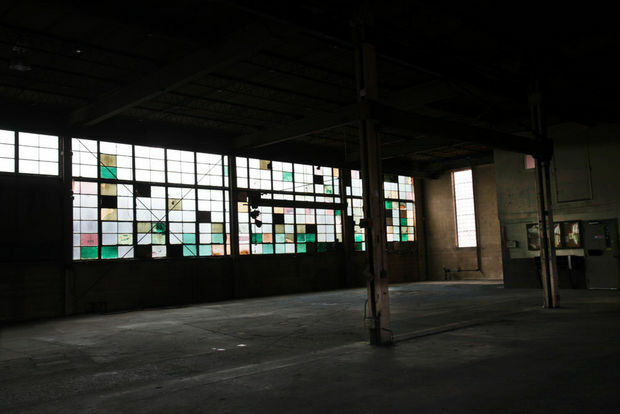 After months of quiet negotiations, Spaces is close to signing a lease with developer Michael Chesler, owner of the 14,000-square-foot brick industrial building at the southeast corner of West 29th Street and Detroit Avenue. Moving into the area, dubbed Hingetown by local developers Graham Veysey and Marika Shioiri-Clark, would bring Spaces cheek by jowl with the new Transformer Station gallery, and with Veysey and Shioiri Clark’s Ohio City Firehouse and Striebinger Building. Also located nearby are ICA Art Conservation; the Van Roy Building, owned by Chesler; and the former Bop Stop jazz club, recently donated to University Circle’s Music Settlement. Chesler and John Farina, president of the Spaces board, see the opportunity for a strong fit with a neighborhood that is quickly becoming a West Side cultural mecca. Chesler, who said he is offering Spaces a below-market lease, said he’s equally pleased to have the chance to add to the dynamism of the area. Spaces, established in 1978, is devoted to showing experimental works by emerging and mid-career artists. In November 2013, the organization signed a deal to sell its three-story, 19th-century vintage loft building at 2220 Superior Viaduct for $418,000. The organization decided to sell the building, which it had owned since 1990, because the location came to feel isolated and unrelated to surrounding developments, including the StoneBridge Apartments, built in 2007. Spaces recently signed a “hold agreement” with Chesler, which gives the gallery six months to sign a lease for the Ohio City building. Farina said that Spaces has launched a $3 million capital campaign, of which it needs to raise roughly half, or $1.5 million, in order to sign the lease. So far, the organization has gathered $500,000 in cash and pledges, so it is pushing to raise the remaining $1 million by October. Architect John Williams of Cleveland’s Process Studio, a former president of the Spaces board, is designing a minimal renovation of the Ohio City building intended to preserve its rugged industrial look. The interior would feature about 5,000 square feet of gallery space, about what Spaces has now in its Superior Viaduct building. Built in the 1950s, the Ohio City building features a structure of steel columns and trusses with 20-foot ceilings and facades of brick and concrete block. Its most notable feature is a large window spanning most of its long west façade with windowpanes or opaque panels in varying hues that create a checkerboard look. Farina and Chesler said they both feel the windows are essential to the building’s identity, and that they intend to preserve their patchy appearance. Chesler, who bought the building in 2011 for $270,000, said it was previously used as a fabricating facility for large steel water purification tanks. Among its special features are a series of ceiling cranes that will be preserved and may be used by artists who need to move around heavy objects. Christina Vassallo, who was appointed as the new executive director of Spaces in December, said she’s thrilled to join the organization at what is shaping up to be a pivotal moment in its history. She moved to Cleveland recently after having spent three years as executive director and curator of Flux Factory NYC, which organizes exhibitions, artist residencies and collaborative projects.